In the 21st century, the world is experiencing difficult times. No matter how one chooses to look at things, how much of a positive attitude one tries to adopt, there is still a great deal of uncertainty among most people in regards to the future and many of those who have taken the time to investigate and who are aware of such things, see the situation as hopeless and many feel powerless in the face of the New World Order Leviathan that is ever more quickly engulfing our civilization. Yet the reality is that the people are not powerless at all, in fact quite the opposite is true, for there is a simple and effective way to stop the new world order in its tracks. Let’s be honest about it. The system we live under is corrupt. It’s rotten to the core. It about self service and its run by psychopaths and criminals and everyone knows it. And they get away with it, and the world continues along in this dysfunctional manner simply because we let it continue. So stop going along with it. Understand that the way to bring about real change in the world is through non compliance to the system. And many ask what is non compliance? Does this mean I should quit my job and burn all my money and the answer to any questions such as these is no, of course not. Non compliance is about doing the right thing, its about disconnecting yourself from the system, being responsible for your thoughts, for your actions and your intentions and it lies very much in realizing your own potential. Do what is right in all that you do. Realize your connection to others and think humanitarianly rather than economically. Don’t base your life on the collection of useless trinkets or on social status. Do what is right in your heart, and doing what is right, understanding whether what you are doing is the right thing or not, is not something you have to decide. It’s something you already know in your heart if you would just look, and be honest with yourself. If you are doing something that you need to justify to yourself with inner dialog, then chances are that you are doing the wrong thing and are simply trying to talk yourself into allowing it... You know this, the knowledge of it is within your heart, you just have to look and you will find it. Understand how the energy works, be aware of the energy you are drawing into yourself, of what you are manifesting with that energy, and what type of energy you are contributing back into the energy supply for others for others to draw upon. This is truly how it works. Realize your true potential as a human being. Forget the imaginary restraints that have been placed before you by the academic system and the limitations you are told exist by science and religious teachings and look at the whole spectrum because the fact is that each of these institutions functions to only to compartmentalize knowledge. Each exists for the very purpose of limiting the scope of your understanding by locking you into a contained and restrictive paradigm and until people begin to look beyond such imposed limitations, open their minds and make the connections between religion and science, they are never going to make the connections to themselves, to this reality and to the Creator that men have called God. But to do this and to gain a real understanding requires both acceptance, and self responsibility, it requires that people act in a proactive manner. There are many who find such things difficult, those who would prefer someone else to come and save them, yet such people desire the impossible for they desire to be delivered into salvation and utopia without ever understanding the true nature of their world or even of themselves and this is very often due to the limitations of an imposed belief system. Now you can talk to those who embrace religion, you can sit them down and you can talk to them about God and about Satan and they will converse with you eagerly and they all very much believe in such things, but as soon as you put things like science, Galactic Laws, numerology or astro-theology into the equation, many just shut off. They say its Gods will and they sit back and they wait for Armageddon - and some will even go so far as to say the pursuit of such higher understandings is demonic! And though on a different level, it’s much the same with many scientists, they understand the mechanics of it all but many refuse to add spirituality to the picture, and only adhere to laws that can be applied on a mechanical level. Both approaches are inherently flawed because neither will consider the arguments of the other and both refuse to take into account, allow for, and even embrace, the true nature of feelings and emotions. Yet feeling and emotion is the key to it all. Feeling and emotion is the language that is used to create and to mold reality. Feeling and emotion is the true nature of prayer and it is also the language by which man may communicate with the creator. What is the true nature of that divine entity that man has named God? The intelligence that underlies all, the fabric that permeates all realities. The creator exists as one, a single consciousness that is in essence a duality, both male and female. The Alpha and the Omega. This is why in Religious texts in which the creator speaks, it is in the plural. This is the nature of the divine matrix that connects all things, the consciousness of which we are all expressions. 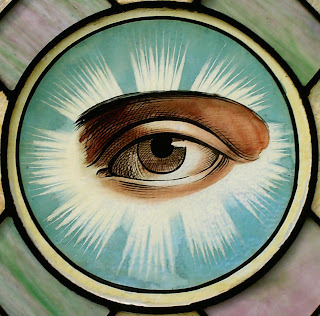 As self awareness grows and realization of ones connection to this consciousness awakens within each person, Institutionalized Religions seek to externalize this force and suggest that God is something external from man, a benefactor that is looking down on us. Many so called new age religions attempt to internalize it and suggest that God is yourself, that God lies within, but both of these understandings are erroneous. Every Being in Creation, both you and I and every other person in this reality, is an eternal living Soul expression of God, of the consciousness of the Alpha and Omega just as every Soul is Male/Female in nature. Yet despite this, our world, our species and our consciousness is today, rampant with division and distrust that is wholly illusionary and has been deliberately engineered into being - the manufactured creation of an Institutionalized society. This has been going on for a very long time and has reached extreme proportions over the last century. During this time man, as a species, has been shifted so far from his centre and so far away from true reality that we have almost completely lost our humanity. We have been trained to be totally dependent upon the system. We have been robbed of our will, of our self esteem, and our independence. We have been trained to believe what ever the TV tells us and to think that image, social status and the collection of meaningless trinkets is the meaning of life. But most importantly, through television, the mass media and through the ingestion of brain inhibiting toxins such as fluoride, we have been robbed of our power to think critically and objectively and most dangerously of all, through these same machinations, we have been robbed of our life skills. This last fact alone has placed mankind in the most vulnerable position of our entire recorded history for at this point in time we are almost each and every one of us, completely dependent on a corrupt corporate apparatus for our survival, an apparatus that places profits before people. It has nothing at all to do with the true nature of man and our place upon, and relationship to, this earth or to each other, yet we depend upon it for our food, for our housing, for our information and even for our entertainment. It tells us what to do, where to go, what to look like, what to eat, how to dress, how to act and what to think about the world and about each other and we obey it while the world around us is raped. And if this corporate apparatus were to suddenly fail or shut down, every supermarket shelf in the world would be almost completely empty, and every resource we take for granted as being on hand for our daily lives, would be depleted in a matter of just three days - and what then? Because if a person from almost any level of modern society were suddenly to be left alone to fend for themselves, there are very few who would be able to survive. It is of the utmost importance that mankind wake up to the reality of this and to the true situation the world is facing because the future we are allowing to be created and to which we are also allowing ourselves to literally become completely enslaved to and totally dependent upon, is not going to be a future worth living in. What is required to fix it is for people to re establish themselves as human beings and get back in touch with their humanity. Take control of your own life, start growing your own food and take responsibility for yourself and realize and accept your connection to others. One hundred and 20 years ago, a situation such as the one we are now in would have been unthinkable, so why then is it so prevalent today? The reason it is so prevalent and we are now in this situation is because it has been done by design. The reason, is because we are being set up, and I don’t tell people this in order to scare them, I tell people simply because its important they become aware of it as it is a situation that can still be rectified, once people become aware of the truth. As I have said repeatedly in other films, there is a ruling bloodline that exists on this earth. It is very old and has always ruled the earth. It is to this bloodline that the Bavarian Illuminati appears to have allied itself with some 230 years ago. This ruling class is known by many as a sun cult and there is good reason for this as it still carries out its ritualistic worship of Amon Ra in the world today. It does this in full view and has even hijacked other faiths to do it. Unbeknownst to the members of these religions, one of the purposes in doing this is to use these people to help channel the energy required to control this reality. There are a great many people involved with this bloodline, both genetically and ideologically and it is the upper echelons of this ancient sun cult who ultimately sit at the top and steer the ship of state. If the truth be known, there is already a one world government in control of this planet. Its just that it is hidden in the shadows and governs the world through covert methods, the three most prominent of which are by controlling the flow of the worlds resources, its manipulation of the global money supply and most importantly, through the control over the flow of information. Now, archeological evidence clearly shows us that there have indeed been civilizations as advanced as our own, and perhaps even in possession of technology that we are still yet to realize, that once existed on this planet in times long passed. Archeological evidence also clearly shows us, that many thousands of years ago the earth suffered some kind of catastrophe – in fact most likely there have been several. The last one that was recorded in any discernable way was the deluge described in the bible as the flood of Noah. The deluge did take place, it’s recounted in many, many cultures some going back even further that the bible. It exists in Babylonian texts in the Epic of Gilgamesh. It even exists in legends of native American, Australian aboriginal and south American cultures, and in many other places besides. And this is not by coincidence. The deluge did in fact occur. What my research has led me to believe is that at the time of the deluge, or possibly even in a catastrophe preceding the last one, there was indeed an advanced civilization that existed on this earth, and during one such catastrophe, technology was lost. Not just civilization but actual hardware and important scientific records. It has been a painstaking process for those in control to regain this technology and we have been allowed to breed in order that it may be recovered and that control over Earths resources is again secured by those who control this world. They have used us as the power and resource to achieve these ends. Those who belong to this ancient cult are the keepers of the hidden knowledge and these people understand that if you can control the emotions and beliefs of enough of the populations, you can control the entire species and quite literally create whatever reality you desire and they have used our energy to create the world we now inhabit. The key to addressing this situation is to understand your own potential and understand the true nature of energy, vibration and of frequency. Everything that exists in this reality consists wholly of differing frequencies of energy. The expression of every frequency that exists, exists as every Son/Daughter and every son/daughter that exists in Creation is consciousness. The Creator is consciousness and every Soul in projection in this reality is an expression of that consciousness. Consciousness through Creation is Universally the same and is pure Christ Consciousness. Christ Consciousness is the key. Once you get the picture that Christ Consciousness, rather than the doctrines of institutionalized religions, is what it's all about, you understand everything about what's going on. Creation exists solely through the loving responsibility and intent of every Soul in projection, every expression of the consciousness of the creator - and this has nothing to do with institutionalized religion. Institutionalized Religion has been devised by man to hide you from the truth and from the Christ consciousness that lies within you. Your inner thoughts and emotions literally affect the outer physical world around you. It is extremely important for people to understand that your feelings and the effect they have on the world around you are not something you can switch on and off at will. Its an ongoing thing that is happening all the time. Every conscious moment of your life you are communicating with the energy field around you and every moment you are quite literally shaping this physical reality with your thoughts and your emotions and the energy you are releasing through them. Many people find such information to be somewhat discomforting because with the understanding that your inner thoughts and emotions literally affect the outer physical world around you comes a great responsibility. How will you accept this responsibility? How will you now choose to live your life in the realization and true understanding of what energies you are putting back into the matrix for others to draw upon and of how these energies created by the choices you make, are literally shaping the physical world around you? Jesus was a Christ Conscious Triune Being in a projection. You are a Christ conscious Triune Being in a projection, a thought in the mind of God, a manifestation of the expression of Alpha and Omega. The difference is that Jesus knew it while most other people haven't figured it out yet. Every person living within this three dimensional reality, lives a completely illusionary existence. What Man considers the ordinary events of everyday life on Earth have no counterparts in the higher realms of awareness. Every person dwelling on Earth today is a living Christ Triune Being subject to the third dimensional mentalized illusion of this material plane. On Earth each of you has five lower outer senses and one hundred and five higher or inner senses you cannot normally access. Because of this you are only able to perceive a very narrow bandwidth of this reality and the way to unlock these higher senses is to understand the one law that governs this reality. There is only the One Law and that is the law of absolute and unconditional love and service to the Creation for the Creator. Evil is doing in practice the opposite of what you should be doing in principle. The reason is simple, disharmony is the result. What is thought of as evil is, quite simply, the presence of disharmony through acting in opposition to the One Law. Evil, is a choice and the so called battle of Armageddon that those of a religious persuasion are waiting for is, in actual fact, already being waged. It is a battle of energy that is being fought in a higher realm. It is a battle that is being fought on all levels, both spiritually and physically and even electromagnetically. The weapons that are being used to wage this war are all around you. They are food toxins, electromagnetic radiation and television. It is a battle of consciousness. It is being waged by occult means and it is going on right now. The outcome of this war will be that man will either awaken his DNA, realize his true potential, and change this reality into one that embraces his connection to everyone and everything, and to the creator, or he will succumb and in doing so he will lose the final vestige of his humanity. We are, right now, on the precipice. We are teetering on the brink of one of these two realities. On one side lies salvation, and on the other, oblivion, while in our hands, lies the choice. Look around you, this Battle has been raging for many, many years. People are just kept distracted by design and so for the most part, they haven’t yet noticed. Free yourself of the distraction though, and it becomes very obvious and quite plain to see. We are not in the end days or even in the end hours, we are in the final minutes and the choice of what the final outcome will be - the very key to winning, lies within each of you. All I can ask is that you each look within yourself because when you look deep enough you will find that the words I have spoken are true. Realize your inner power and embrace your true potential because the truth will set you free. My friends, Stop complying with this system.